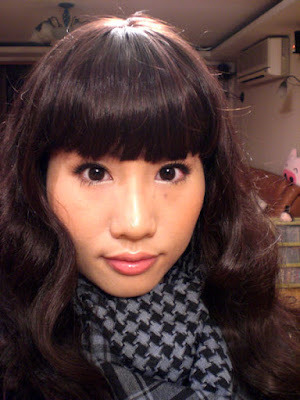 ❤ The Makeup Piggy ❤: Metallic Earth tutorial + new wig! 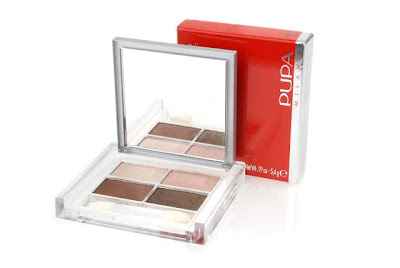 I used this new Pupa eyeshadow which has very awesome metallic red-browns. I did not use primer for this look and the colors are already crazy bright! Anyway let's get started! Put on a light foundation and concealer if needed. Do not use something heavy or too matte for this look as we are going for "natural" here. Put a mid-brown shade all over your lids and a bit beyond your crease. Add a darker brown over the mid-brown, stopping just under your crease and focusing the color in the outer corner. Line your upper lashline with a black-brown eyeliner pencil, and color in your upper waterline if you like. Go over the eyeline with the darkest brown shadow in your palette. Also, put a very light application of the mid-brown (the first color you applied) along the outer half of your lower lashline as eyeliner. Curl your lashes and apply plenty of mascara. Use a fine-toothed lash comb to separate each lash so it does not look clumpy. Apply mascara to your lower lashes as well, and highlight the inner corners of your eyes with a shimmery light beige shade. Finally, color in your eyebrows, and put on the rest if your makeup. 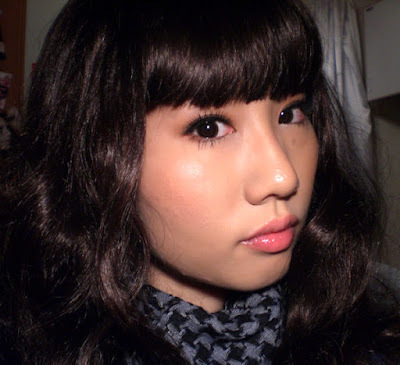 I used an orange blush that has pink shimmers in it, and applied a lipgloss in a similar color. girl, i love your eyes!! It actually does look so real! And I ABSOLUTELY LOVE your eyes! Which fake eyelashes did you use? Totally cute. 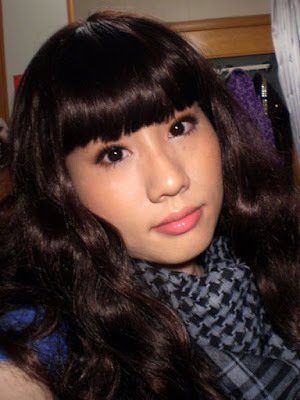 That makeup and wig look really nice on you! do you have PUPA near you? wow! i love your eyes...which falsies did you used? Hey! I love your tutorials. 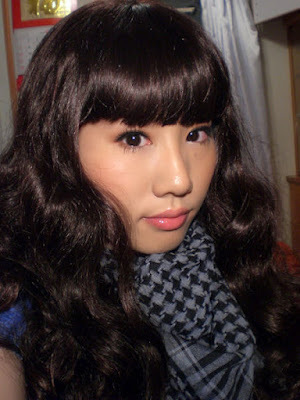 I have been looking for a wig like that one and was wondering if you would mind telling me where you got it? Thanks! Kilikina: I bought it in Hong Kong, but I am sure you can find something similar on Ebay!